For an amazing stay in Branson, MO be sure to stay at the Days Inn Branson. 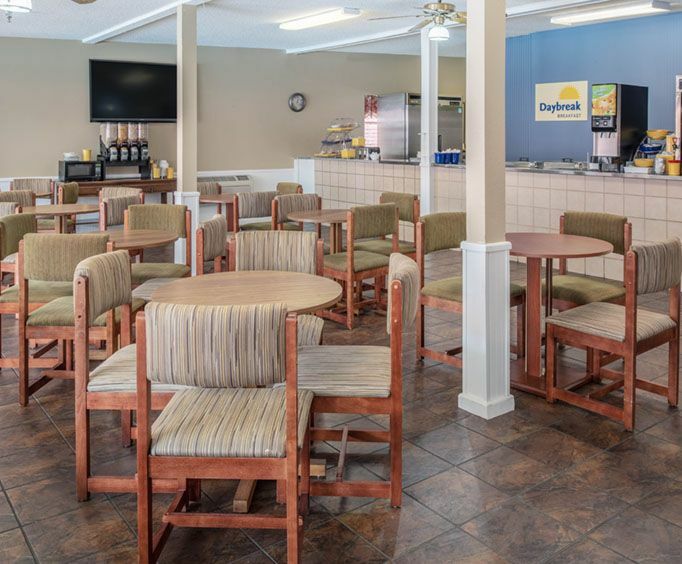 This wonderful hotel is centrally located in Branson, Missouri, making it a great option for lodging if you are planning a trip to Branson for shows or attractions. With fantastic amenities and a great location, this hotel can help you create the best memories on your next getaway. The hotel itself is immaculate and provides the utmost comfort to its guests. They'll be able to start each day off right with a delicious complimentary breakfast before hitting the fitness center for a workout or taking a dip into the seasonal outdoor pool. Each room comes equipped with free Wi-Fi, and guests will be taken care of with daily housekeeping, laundry facilities, free parking, and a 24-hour reception desk. This amazing hotel has a large breakfast area complete with vast buffet options. 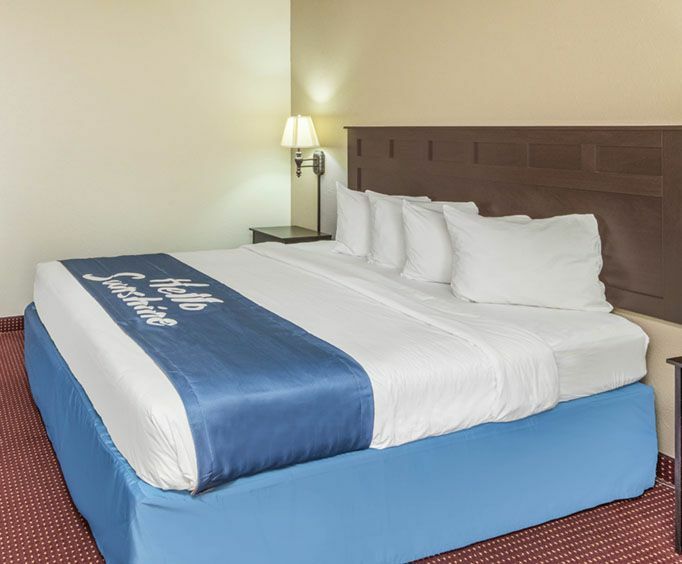 With large, clean rooms, this hotel choice is sure to accommodate any and all that book here. The view of the pool from the rooms is very quaint and cozy, making for an enjoyable, and clean stay. Friendly and courteous staff add to the overall experience when staying in this veteran-owned hotel, ensuring that everything you want and need is taken care of. With the hotel being so close to many of the most popular Branson attractions, the staff is well-versed in helping guests to find the area of town they are looking for, or even assisting guests in finding show tickets. The central location provides guests with the convenience of being close to all the local shops, shows, and dining options, as well as being situated only minutes from the historic downtown area, and the new Branson Landing where visitors can shop at places such as Belk and Bass Pro and dine at restaurants like Big Whiskey's. From the Days Inn Branson, guests can easily access Highway 76 where plenty of the Branson attractions are located. Here, guests will find shows such as Dolly Parton's Stampede and be able to check out attractions such as the Titanic Museum, Hollywood Wax Museum, and Bigfoot on the Strip. For unforgettable lodging options in Branson, Missouri, be sure to check out this spacious and clean option. 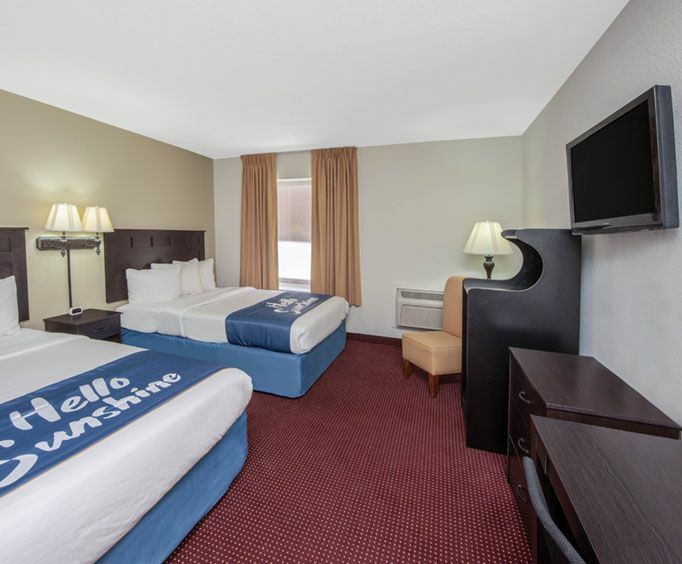 Book the Days Inn & Suites today! It was clean enough but the off season doesn't bring out the most impressive customer service. It was somewhat of a cool reception and the night manager, who was also the day manager was usually out front catching a smoke. That was ok because he wasn't that friendly anyway. Tip: Pay more and get more help. First trip to branson with my family loved it sooo much had so much fun the train-motown review- raza magic- dinner show on the belle- ripleys- toy museum lambert’s?????? "We had a marvelous time!" We had a marvelous time! The train-motown review- the dinner trip on the belle was great, and the food delicious. Ripleys and rafa were among our tours also. This was our family’s first trip to branson. Lambert’s was just the best!